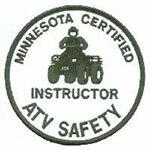 The 2007 Minnesota Legislature established an Off-Highway Vehicle (OHV) Safety and Conservation Program and Advisory Council (MS 84.9011) to assist in safety and environmental education and monitoring trails on public lands. OHVs include all-terrain vehicles (ATVs), off-highway motorcycles (OHMs) and off-road vehicles (ORVs) such as four-wheel-drive trucks. 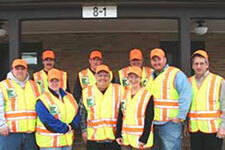 The "Minnesota DNR Volunteer Trail Ambassador Program" was established by the DNR Divisions of Enforcement, Parks & Trails and Forestry. The program exists to promote safe, environmentally responsible operation of OHVs through informational, educational contacts and monitoring efforts. Oversight and management of the program is the responsibility of the DNR Division of Enforcement, Safety/Education section. Volunteer trail ambassadors are responsible for greeting fellow outdoor enthusiasts, educating trails users, giving minor aid in emergencies, trail monitoring, and providing useful information about responsible OHV use on public lands. Individuals interested in volunteering for the Trail Ambassador program must meet the following requirements. Be sponsored by a "Qualified Organization"
View a calendar for Safety Instructor and Trail Ambassador training sessions. What is a "Qualified Organization"? Minnesota 4-Wheel Drive Association (MN4WDA). What is covered at a "Trail Ambassador" Training Session?